Adultery investigation is a particular type of infidelity case dealing exclusively with married partners. Adultery is considered a sin in many world religions, a crime in some countries and a crushing trauma to the heart and soul of anyone who believed that their partner is loving, loyal and faithful. Adultery can be dangerous business, with disease and violence common consequences of bad affairs. It is no wonder that spouses who suspect a cheating partner will often go to great lengths to prove their worst fears, in order to protect themselves and their family. This topical essay provides guidance on using a professional investigator to help you discover the truth about a potentially cheating spouse. Adultery is difficult for the average person to prove, since the cheating usually occurs covertly. Most partners will not likely be able to follow their wayward spouse easily, nor be able to document their activities for a great number of reasons. However, a private investigator can do this on the client’s behalf, discovering whether or not a husband or wife is actually cheating or perhaps have a good excuse for their troublesome behaviors. Typically a professional detective will use surveillance tactics, including video and photographs to establish infidelity with one or more people. Private eyes are highly trained experts in covert operations and can typically solve a case, complete with legally admissible evidence, without ever being discovered by their target. This is a huge asset if the infidelity turns out to be true and lands a marriage in divorce court. No one wants a fairytale love to end and the mere thought of any marriage being torn apart by a cheating spouse is pure misery to bear. However, statistics show that people cheat often. 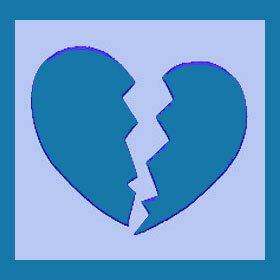 It is an unfortunate part of many relationships and is commonly the reason for the demise of the partnership. There is no way to make someone love you above all others and to forsake all temptations to preserve your bond. However, it is best to know when someone else has been elevated into the special place you formerly held. Consulting with a private detective will empower you to take back control of your life and relationship. Even if the marriage ends, at least it will end on your terms, so that you will not be discarded like some meaningless remnant of your spouse’s past.